"TOP NOTCH EYEWEAR AT AN AFFORDABLE PRICE POINT..."
Up until now, I’ve been a fan of Oakley sunglasses when I’m on the bike. They seem to work well, and they look good too. There’s one problem with Oakley eyewear, almost everyone wears them… Not wanting to conform to cycling norms, I managed to track down a set of custom Oakley Jawbreakers late last year and wore them when I rode across the Nullabor in January. They looked great, but they cost me an arm and half a leg and then I was forced to pass up the other half of my leg as I needed to buy a set of darker lenses to reflect the extreme Nullabor glare. I was out of pocket some $600AUD…for a pair of sunglasses!? Upon arriving in Adelaide, as most cyclists do at the TDU, I made sure to check out all the local bike stores to see what new and exciting goodies were on offer. What caught my eye was a set of the BBB Avenger Sunglasses. At first, I was a little confused about what brand the glasses were. 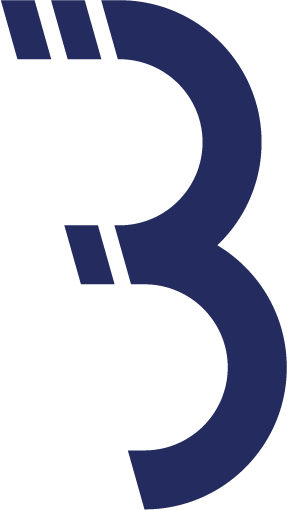 The logo was a modernised ‘B’ and upon closer inspection, it became apparent that the BBB brand had in fact re-branded. The new branding looks slick. Up until this point, I’d never really given the BBB sunglasses much attention, however the Avengers really struck a chord. The shape and colourways were bold and modern and the fit fantastic. BBB's new branding is on trend with the latest in minimalist design. Upon closer inspection, the 'B' is lazer etched finely into the exterior of the lens just above the nose bridge. A nice finishing touch. Upon arriving back home, I reached out to the guys at BBB, eager to get my hands on a pair of the new shades and was offered support in the form of sponsorship which is fantastic. I’m now rocking a couple of different pairs of the BBB eyewear range and can say nothing but good things. The glasses are fantastically priced, are supplied with three sets of different lenses for differing light conditions and conform to my face with a helmet on superbly. The Avenger model shown here in black, with the photochromic lens in a light tint amidst the afternoon shade. The nose piece is malleable so those with big honks (you know who you are) are able to widen the nose bridge and those with a slimmer profile are able to squeeze the bridge so that it holds well when in place. If you’re in need of photochromic lenses that will change colour with differing light conditions (fantastic for those that ride before or after work), then you are able buy a specific ‘photochromic’ offering in most styles. The photochromic lens is hands down the best lens of its kind and the rate at which the lens changes in colour when exposed to light is far superior to that of the Oakley’s I owned previously. The lenses seem to have a hydrophic style coating applied so that when it rains, the water beads from the surface so as not to blur vision. Again, in the past, I’ve found this to be a gimmick (even with the more prominent brands) but BBB has hit the nail on the head and it actually works. Interestingly, this is not a feature advertised on the BBB site, so I’m uncertain whether it’s an additional coating or built into the lens construction itself, but I tell you…it works. Just last week I was riding in the rain and where I would normally have had to remove my glasses to squint, I was able to keep them firmly fastened and still maintain a clear view. So how do the BBB’s compare ‘cost-wise’ to other glasses on the market? They’re in a world of their own… This is not because of them being a lesser quality product, but more so to do with that fact that BBB as a brand are looking to gain traction within the cycling eyewear market and by offering top quality eyewear at an affordable price, they are certainly on their way to doing this. The Avenger model that I’ve been using retails for $89.99AUD with the photochromic offering available for $159.99. $129.99 AUD - A traditional style half frame with a large lens for greater sun protection. $129.99AUD - A frameless design with an un-compromised field of view. $59.99 AUD - As the name suggests, a casual ‘off the bike’ pair of shades. With a range of different frame models and colours to choose from in all models, even the fussiest of buyers will be able to match their glasses to their socks. So, next time you’re in the market for a high-quality pair of cycling shades, opt not for the Oakley’s (cue the ‘Baaaaa’ of a sheep) but for something in the BBB range that offers a unique style at a fraction of the price. Top notch eyewear at an affordable price point.